Green Book (film, 2018). A 2018 American biographical comedy-drama film with "PG-13" rating by Universal Pictures. Directed by Peter Farrelly. Official Trailer. 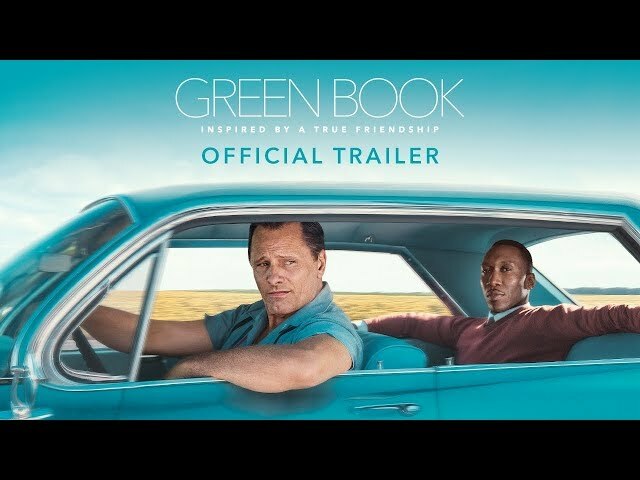 Green Book is a 2018 American biographical comedy-drama film directed by Peter Farrelly. 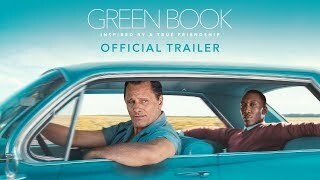 Green Book - Official Trailer . New York City bouncer Frank "Tony Lip" Vallelonga is searching for new employment while the Copacabana nightclub, where he works, is closed for renovations. He is invited to an interview with Doctor Don Shirley, an African American pianist who is looking for a driver for his eight-week concert tour through the Midwest and Deep South. Don hires Tony on the strength of his references. They embark with plans to return to New York on Christmas Eve. Don's record label gives Tony a copy of the Green Book, a guide for African-American travelers to find motels, restaurants, and filling stations that would serve them. They begin the tour in the Midwest before eventually heading farther south. Tony and Don initially clash as Don is disgusted by Tony's habits while Tony feels uncomfortable being asked to act with more refinement. As the tour progresses, Tony is impressed with Don's talent on the piano, and increasingly appalled by the discriminatory treatment that Don receives from his hosts and the general public when he is not on stage. A group of white men threatens Don's life in a bar and Tony rescues him. He instructs Don not to go out without him for the rest of the tour. Throughout the journey, Don helps Tony write letters to his wife, correctly spelling and rephrasing passages which deeply move her. Tony encourages Don to get in touch with his own estranged brother, but Don is hesitant, observing that he has become isolated by his professional life and achievements. In the south, Don is found in a gay encounter with a white man at a YMCA pool and Tony bribes the officers to prevent the musician's arrest. Don is upset that Tony "rewarded" the officers for their treatment. Later, the two are arrested after a police officer pulls them over late at night in a sundown town and Tony punches him after being insulted. While they are incarcerated, Don asks to call his lawyer and instead uses the opportunity to reach Attorney General Robert F. Kennedy, who pressures the governor to release them. Because Tony lost his temper, Don is frustrated that he had to distract RFK who, with his brother JFK, are working hard for minority rights. The film Green Book was scheduled to be released by Universal Pictures on September 11, 2018 (TIFF), on November 16, 2018 (United States), on November 21, 2018 (United States), on January 30, 2019 (United Kingdom), on January 31, 2019 (Germany) and on February 21, 2019 (Denmark). The duration of the film is 130 minutes. With a budget of $23 million, the film grossed over $311.6 million. Green Book got high rating from critics. The audience also likes the film.